Inbox2DB collects data from incoming email messages (like e.g. web forms, order notifications, surveys, applications, etc.) 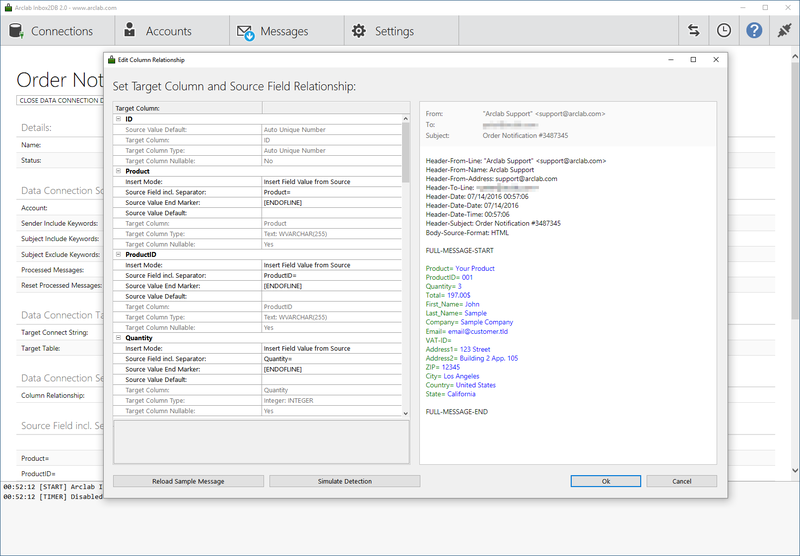 and adds a new record to your MS SQL Server database for each message. The unique features of Inbox2DB and the flexible collection engine allows you to insert internal/external data - sent via email - into your database.